Welcome To Arabic Bible Outreach! Our sincere desire is for all Arabic speaking people on the Internet to be introduced to God's eternal plan for men's salvation through Jesus Christ the Messiah. May the Lord God bless you and guide you through our pages. Your resource center for Arabic Bibles, Books, Gospels, tracts, CDs, and DVDs. 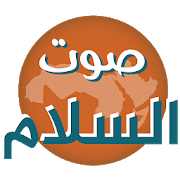 SawtAlSalam is a radio app which provides online streaming of Arabic Christian programs and songs around the clock for you to enjoy. Daily Devotions is a totally free app that delivers a Bible devotion to your device on a daily basis. Devotion is simply meditation on God’s words. It translates God’s words in a way that is easy to understand and applies to today’s life. What is the word for God in this manuscript, please can tell me? Thanks. God is perfect therefore I am willing want to get more of HIM. It all started with the translation of the Bible into the Arabic language. A Christian guide featuring maps, statistics, mission works and others.